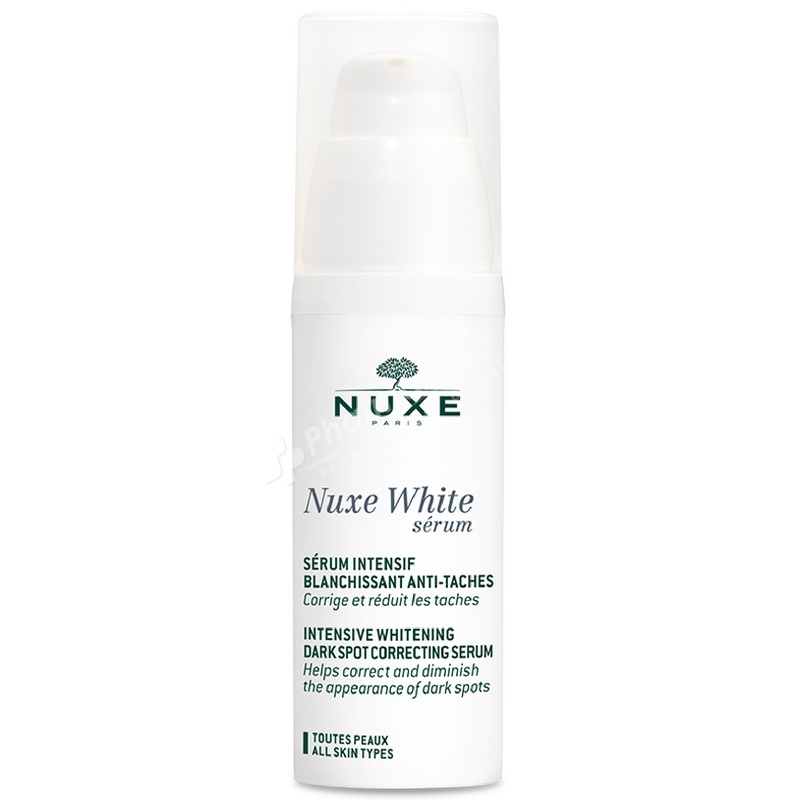 Nuxe White Intensive Whitening Dark Spot Correcting Serum Helps the skin achieve the most perfect transparency and inhibits the formation of melanin. It enhances the moisture levels in skin and leaving skin velvety soft to touch. Helps the skin achieve the most perfect transparency and inhibits the formation of melanin. Contains active botanical ingredients to maintain the skin’s full transparency. Cherry Blossom Extracts enhance the moisture levels in skin and leaving skin velvety soft to touch. Apply day and night a moderate amount to cleansed and toned face, eye contour area and neck, especially focus on the dark spots. Aqua / Water, Phenyl Trimethicone, Glycerin, Ascorbyl Glucoside, Arachidyl Alcohol, Decyl Oleate.